NEW: APR’s for all open auto loans! We have a special offer for all 700Credit clients and prospects: a 30-day free trial of our unique Auto Summary – now with APR on all open tradelines included! We now have the ability of presenting a letter to consumers who question giving consent when filling out our QuickQualify and QuickApplication web-based soft-pull and full credit application solutions on a dealer’s website. This letter includes the date of transaction and IP address from when and where the consent was given. We have added Out of Wallet (OOW) transaction counts to our Compliance Dashboard. This data will provide insight into overall OOW history/usage, as well as view into number of OOW transactions requested compared to consumers resulting in Red Flag Alert. It includes applicants where OOW was requested, those that passed/failed/abandoned, and where questions were not available. Last quarter we kicked off our new Educational Webinar Series with our first topic: How to Read a Credit Report. The response and participation was overwhelming – thank you to all who joined! Our second quarter webinar is scheduled for June 5 & 7. The topic is “The Benefits of Multi-Bureau Pulls: Fund the Best Deal for your Customers”. Recent studies have proven that dealers who pull more than one credit score on consumers have higher closing ratios and gross profits than dealers who pull only one score. In a recent study 55% of applicants with 2 credit bureaus pulled have risk scores that vary by more than 20 points, and the variance increases to over 30 points when all three scores are pulled. This implies the possibility of your customers qualifying for better rates on the majority of your deals! 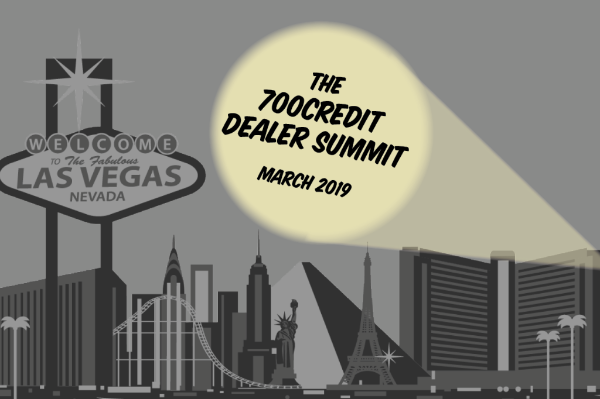 In this session, we will discuss the statistics and walk through real-life testimonials of how dealer’s like yourself have greatly benefited from pulling multiple bureaus during the funding process. We will also discuss how you can make multi-bureau pulls work for you. We are offering a 60-day free trial for our existing credit customers! If you are currently pull one credit bureau, we will offer the other two at no additional cost for 60 days. If you are pulling two bureaus, we will offer the third at no cost. Look Who Joined DrivingSales.com? We Did! Now we need your help! We invite you to rate our products and services to help us boost our ratings on the site. You can click here to find us easily: https://www.drivingsales.com/700credit. Thanks in advance for your support! Send a screenshot of your review of 700Credit to inquiries@700Credit.com before July 1, 2018, to be entered to win a $100 Amazon Gift Card!